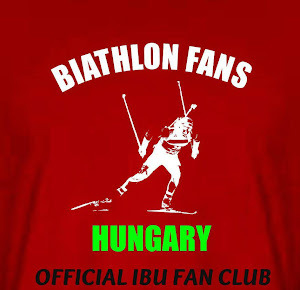 In this week we have some special interviews to all of our followers - also from the largest biathlon nations! After Norway and Russia we managed to reach another big biathlon country, Germany: we have an interview with Erik Lesser, who had two individual podiums in the last season and became a top 20 athlete this winter. Erik, first we would like to congratulate to you for your results. You started the season with a fantastic individual race in Östersund (3rd place and 20/20 shooting). Did you thought there that you can continue this performance during the season? Thank you very much. In Östersund I was surprised by myself, that it worked so well. At this time my target was to be a part of the National team and reach some results among the best 30th. Which was your best and your worst moment in this winter? The worst moment was the the second shooting at the WCS, running at the end of the relay. But it wasn´t during the shooting or running, the bad feeling came up after recognizing which huge chance I missed. The best feeling I had hours after the relay. All my colleagues supported me and I reached the fifth place the race after. What are your expectations for the next season? The traditions and the big popularity of biathlon always puts pressure to the German athletes, mainly in the Olympic season… How do you see your chances in Sochi? First of all I would be a fix part of the team and I would like to confirm the results of the last season. Ths would be a huge success for me and it would mean the qualifying for Sotchi. When do you think an individual World Cup win is possible for you? How did you feel yourself as the last member of the relay? You had great races and exciting moments in Ruhpolding and Nove Mesto! I was very proud and a little bit nervous:). But the most important thing was to be a part of the relay. What are you doing at the moment – where do you prepare for the next season? We have different training courses at home and in the mountains. We are working hard to become the best fitness. In between I had some dates with my sponsors and I am constructing my homepage. Because it´s me:) No, it is a fantastic sport and you will never know what comes up in the future. Really thank you for the answers and we wish you a good preparation for Sochi!! !